Electric scooters have been around for several years now without really gaining much traction, so another new e-scooter from a startup with no history of producing two-wheelers has a long and difficult task. Electric energy company Gogoro is now trying to tackle that challenge with its new Smartscooter and an ambitious plan for a network of battery-swapping stations for urban centers. 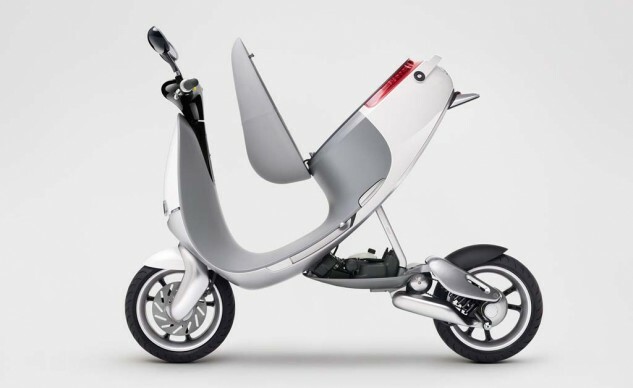 Gogoro revealed the Smartscooter at the 2015 Consumer Electronics Show, a familiar venue for founders Horace Luke and Matt Taylor, a pair of former executives of smartphone maker HTC. The Smartscooter is equipped with a liquid-cooled permanent magnet synchronous motor claiming a maximum power output of 8.6 hp and topping out at 18.4 lb-ft. Gogoro claims its 247-pound Smartscooter can reach a top speed of 60 mph and can reach a range of 60 miles while sustaining a speed of 25 mph. 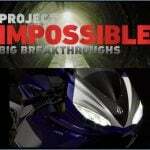 Power is transferred by through a single-speed integrated planetary gearbox and a belt drive to the rear wheel. 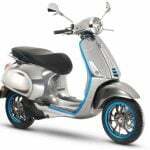 The SmartScooter uses what it calls the Aeroframe aluminum monocoq chassis for light weight and strong durability. The front wheel is mounted to a single-arm suspension with an upside-down piston similar to a design commonly found on aircraft landing gear. The rear wheel uses a multi-link suspension design with four pivot points. The braking system is comprised of a two-piston caliper with a 205 mm disc up front and a single-piston caliper with a 162mm disc at the back. The SmartScooter is accompanied by a smartphone app that monitors your riding patterns and allows for fine-tuning the balance between performance and range. The app also includes a diagnostics system, trip computer and a tool for customizing the dashboard lighting. 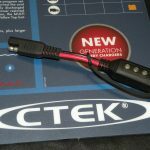 Other features full LED lighting, include aluminum wheels mounted by a large hub lock for easy removal. But the Smartscooter isn’t the centerpiece of Gogoro’s business plan. 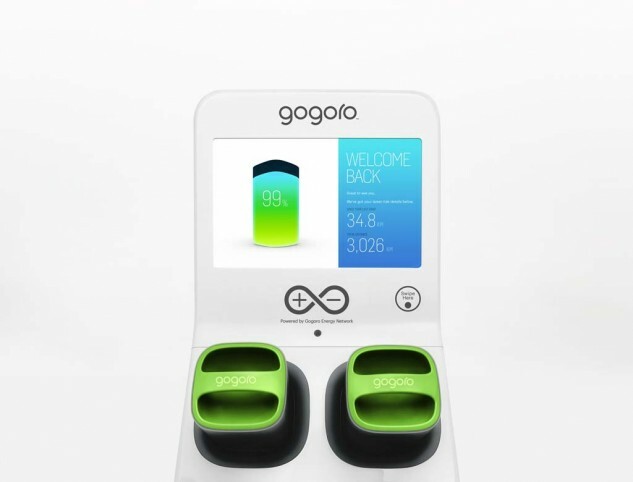 The company’s larger focus is the Gogoro Energy Network, a modular battery-swapping infrastructure consisting of battery vending machines known as GoStations scattered around an urban center. Instead of having to find a parking space with easy access to a power outlet, Smartscooter owners would ride to the nearest GoStation and simply swap out the SmartScooter’s two lithium-ion batteries for a freshly-charged pair. The idea may seem a bit odd at first, until you realize it’s not that different than going to a gas station to refuel. 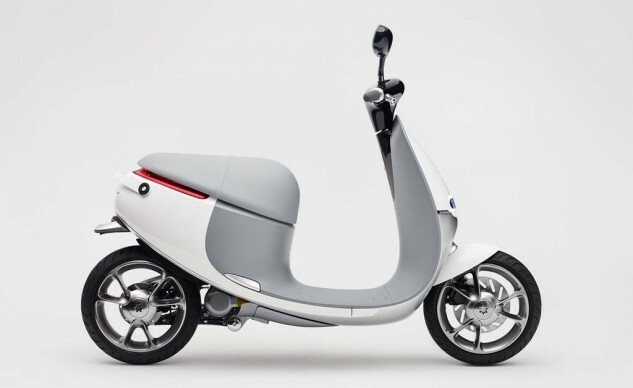 Gogoro’s solution may be even easier, as batteries can be reserved in advanced through an accompanying smartphone app, and the company says a battery swap can be performed in just six seconds. 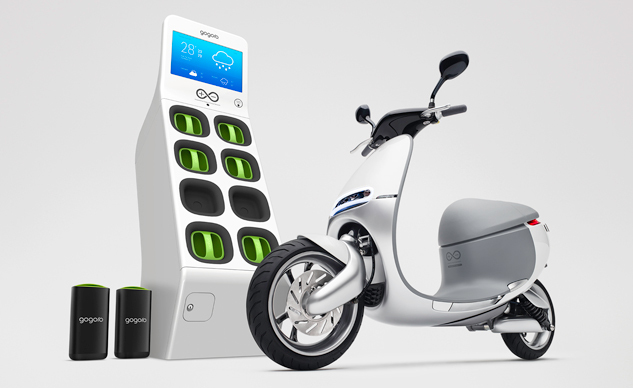 Gogoro’s network hasn’t released any pricing information yet, but the company plans to use a suscription-based payment model offering unlimited access to GoStations and batteries. 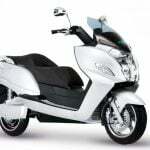 The price of the scooter also remains to be announced, but because you don’t actually buy the batteries, prices are expected to be lower than other EVs where the purchase price includes the expensive batteries. Gogoro plans to launch its network in select cities later this year. 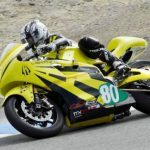 It’s an ambitious plan and Gogoro has secured $50 million in Series A funding from influential Asian investors including HTC chair Cher Wang and billionaire Samuel Yin of Taiwan’s Ruentex Financial Group. Gogoro is also trying to finalize antoher $100 million in Series B funding.